Are your works in Molloy's Digital Commons? ​DigitalCommons@Molloy is an institutional repository that highlights the scholarship and unique contributions of our students, faculty, and staff via an open access platform that is highly discoverable on google, google scholar and the Digital Commons Network. Launched in early 2017, the repository has already achieved thousands of downloads from all over the world. Contributing faculty receive their own personalized Author Dashboard for viewing demographics and other information on readership. Here's a brief video on how the dashboard works. Molloy's Digital Commons is administered by the JET Library with support from contributing departments. Learn how to submit your work(s) today or contact the curator for more information. 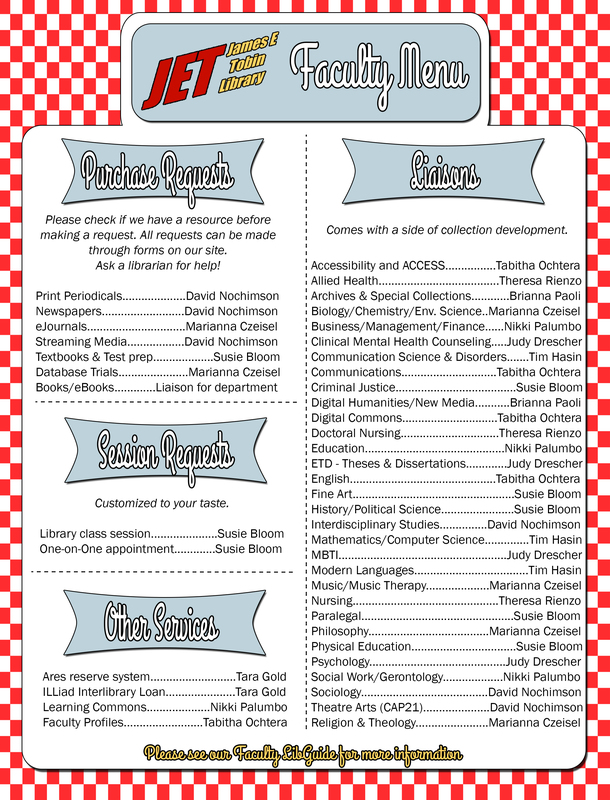 The following subject specialists are listed alphabetically and can assist with collection development, book requests and shelf lists. 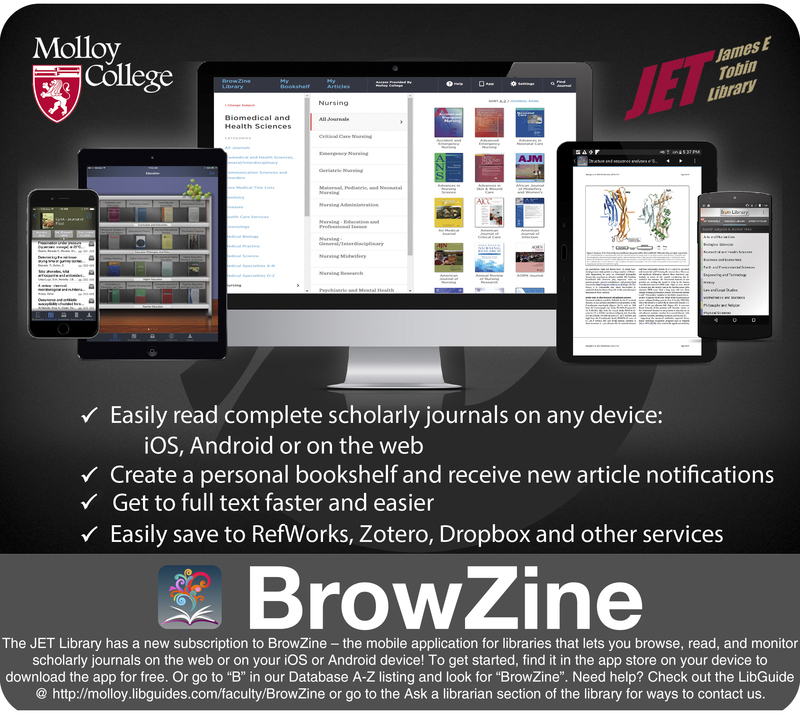 BrowZine allows users to browse, read, and monitor journals available through the JET Library. Easily access full text of articles, create a bookshelf of your favorite journals, save articles in personalized collections, receive alerts when new journal issues are published, send articles to citation management or note taking programs and more! Very tablet friendly! 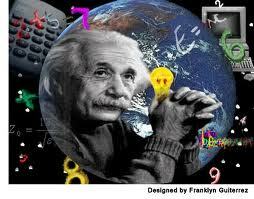 Specific instructions and instructions are available here. New to the Collection - Check inside our catalog to see what has become available within the last 30 days. New items by topic. Whether browsing books or articles, RSS feeds can be set up to notify you when anything new is added to the subject area. Simply look for the Search Tools Get RSS Feed picture at the bottom left of any results page and set up your notification(s). Note: Some type of RSS reader is required e.g., Bloglines or MyYahoo in order for this feature to work. Is somebody doing research in your field?